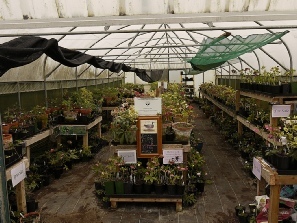 The collection is mainly housed in a large polytunnel grown in large pots. This means that even in inclement weather viewing is pleasant. The plants are on staging so as to make viewing of the flowers easy. 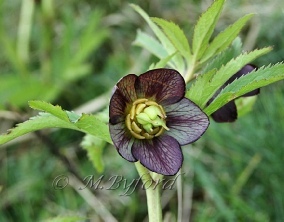 There are posters describing the biology of hellebores, their habitats, geology, climate , forms and distribution. There are some external beds and more are constantly under construction as the collection grows. We welcome parties but if you wish to bring more than 10 people at a time please arrange to make an appointment. Please wear sensible shoes or wellies it is often wet - thin heels are a problem. There is an entry fee to the collection of £3 which contributes to the running costs of the collection. The collection comprises all known species with many “forms” of each being on display to show the amazing and beautiful natural variation found in the wild. 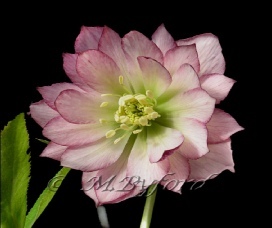 There is huge variation in flower and foliage which contributes to the natural charm of the genus Helleborus.The collection also contains several putative new species not seen elsewhere. . The collection has been featured in Staffordshire Life and Derbyshire life magazines. In addition there are several hundred different garden hybrids bred by Mike Byford on display.